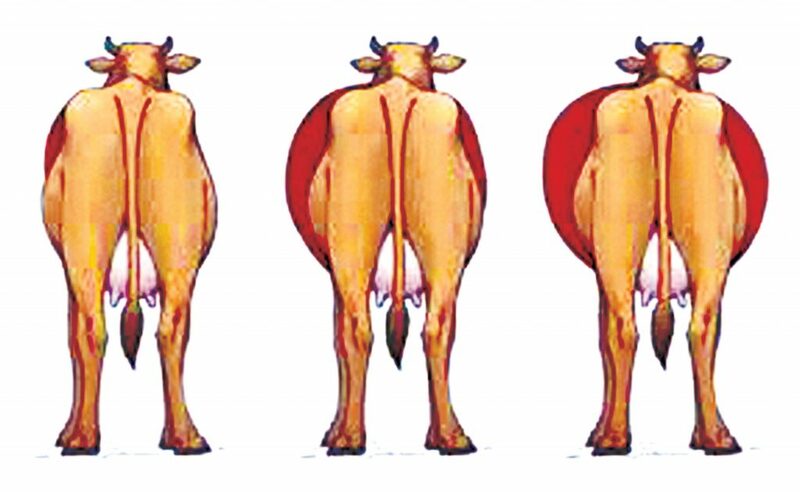 In cattle and buffaloes bloat is very common cause of loss in dairy. When calf in born it has simple stomach like our stomach and digestion is enzymatic starch, protein and fats are easily digested but cellulose like wheat and paddy straw is not digested. After 5 month the ruminant start the digestion of cellulose, paddy straw and wheat straw microbes work on the cellulose and form volatile fatty acids, acetic, butyric and propone acids. These acids in turn make fats, protein and glucose. 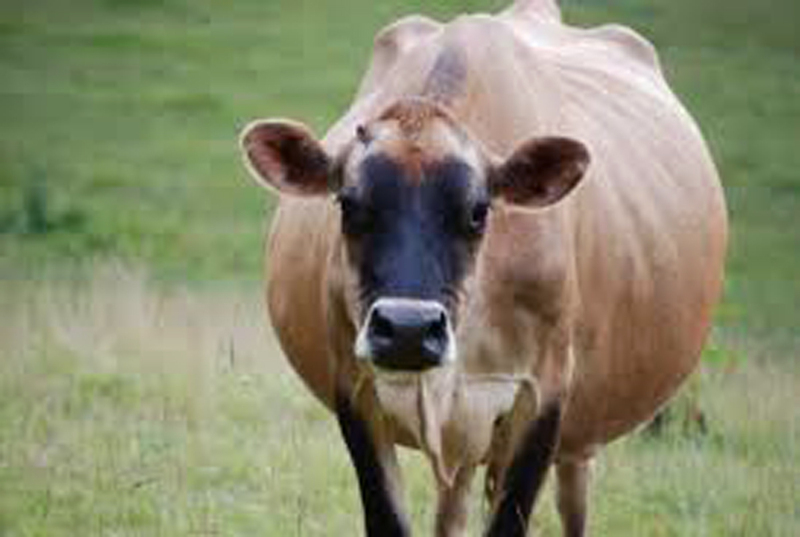 In doing so they release methane carbon dioxide in large amount which is expelled through mouth from time to time through the opening of mouth of rumen, the cardiac. 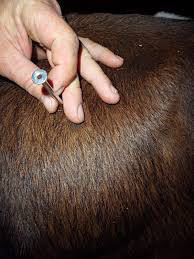 If due to defective nave impulse the cardia is closed them the rumen budges and if not treated it may cause death of animal due to cardiac arrest. So it emergency disease it is part of diary animal management. This is mainly caused by sudden change in dite. We cannot change the diet of cows suddenly. 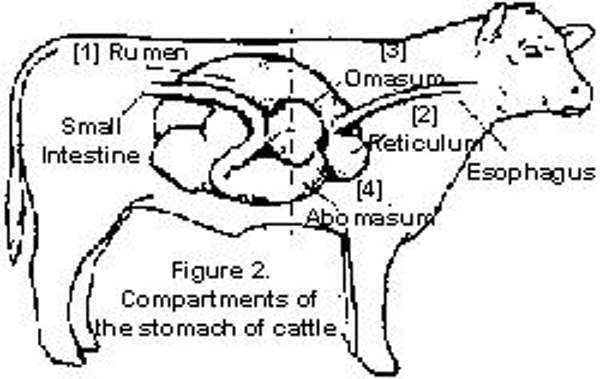 The digestion in ruminant is microbial and microbes take time to change. So to avoid bloating sudden change of diet should be avoided. Give oil with turpentine oil. Rumen normal pH is slightly alkaline, if has become acidic then make it alkaline. Many herbal medicines are available. Rumicare of MSD Company seems to work. In severe cases you can puncture ruman with trokar and camila (as shown in picture). It is necessary to keep medicine ready for emergency.